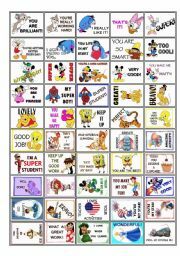 These are stickers for notebooks or books to encourage your students. They love when we show that we recognize their whimsy. I hope it´s useful for you as it is for me. My pupils feel very excited waiting for stickers on their notebooks. I made these for myself and wanted to share them with you guys. I wish I could send it in .JPG format tho, by .DOC its quality is not the same. 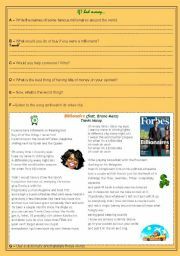 Would you like to be a billionaire? I particularly love this song and it has a good subject to talk about with pupils. Hope it´s useful for you. 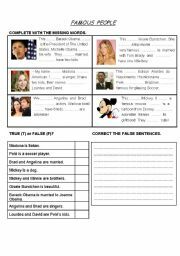 This is a worksheet for the beginners introducing the verb to be in an easy way. I hope it´s useful for you guys! 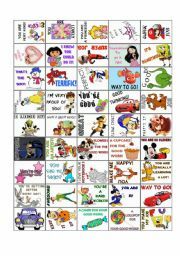 This two-sheets worksheet is about the World Cup 2010. 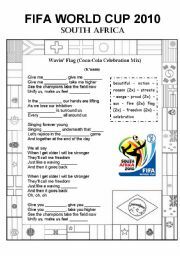 It has the lyric of the song Wavin´ Flag, some questions about it and other questions about Soccer. I hope you enjoy it! Go Brazil! 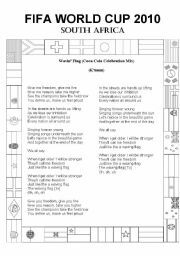 Hey there, I sent this worksheet before but I´ve just figured that there were many mistakes in the lyric and there were two flags missing. I´m really sorry about that! Here is the corrected one now. Feel free for any alteration you would like.